The Atlantic Range is made from engineered timber. Available only in 3 whites which are extruded coatings, they are totally maintenance free, very durable, easy to clean, very good looking and low cost to boot. Our new Mediterranean Shutter is made from Mediterranean timber an ancient tree steeped in oriental history. Mediterranean is a perfect material to make interior shutters; it is very light in weight and has a beautiful grain and texture. This is the first of a new range of shutters with a simple clean line look for the modern home available in a painted or variety of stained finishes. 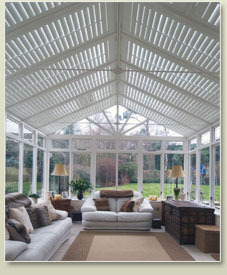 It is also supplied with a traditional or hidden tilt rod for adjusting the louvres. The Mediterranean is our only shutter finished in a stunning “limed White” suiting contemporary home styling. The Pacific Shutter is made from North American Western Red Cedar (WRC); we have designed this shutter to conform to our new styling for the contemporary lifestyle. WRC has a fantastically straight and tight grain which allows us to produce shutters without having to use a strengthening core to prevent warping, it just don’t warp! Pacific is the only product on the market that is available in an oiled finish, a must for real wood lovers.